Gmail now has all the goodness of calling any phone number (just like we do using Skype). Google is slowly rolling out phone calling feature powered by Google Voice from within Gmail inbox interface. 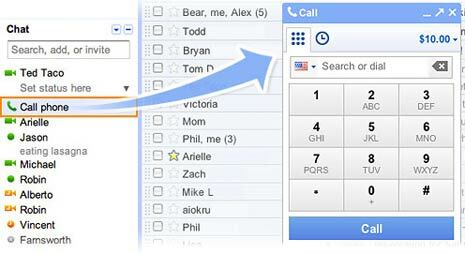 Using this, you can make phone calls with a click of a button by logging into Gmail inbox. 1. Login into Gmail account and click “Call phone” at the top of your chat list and dial a number or enter a contact’s name. 2. If you do not see “call phone” feature, make sure you are logged into chat. Also, make sure you already have ‘voice and video plugin’ installed for successfully making calls from Gmail interface. This feature is only available to US and Canada Gmail users. It should be available to users worldwide very soon. 3. Calling pop-up window will open. You can type the contact name or phone number and click ‘call’ button for making calls. Gmail folders aka labels, how to use them? Problems with the plug in. It never had me install this plug in before but now it won’t let me use the phone unless I download this plug in, but I have down loaded it many times now and it still says to down load it? are there known issues with this? any one else experiencing this as well? mail me and tell me more. 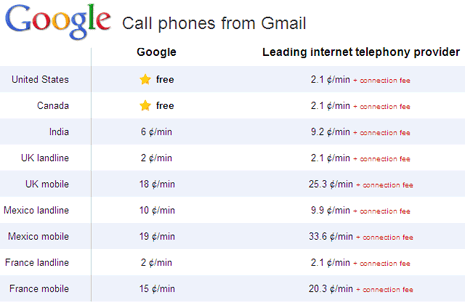 My question is : if i call from my Gmail account in US mobile is free or ??? “gmail” this is great. I like what you have accomplish, keep the ball roaling, wishes you great seccess.